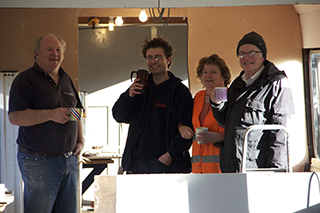 The Staverton Preservation Group is currently engaged in converting the dmu centre car, formerly in use as an office and mess for the Permanent Way Department, into a cafe and kitchen car for use on beer festival days. Currently painted in all-over black, it will be turned out in maroon, since it came from a London Midland region unit; Andy Matthews has offered to carry out this job. 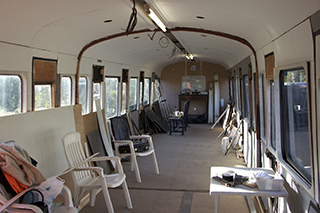 The photos show work in progress on the interior. Panelling is in an advanced state, as is the ceiling. 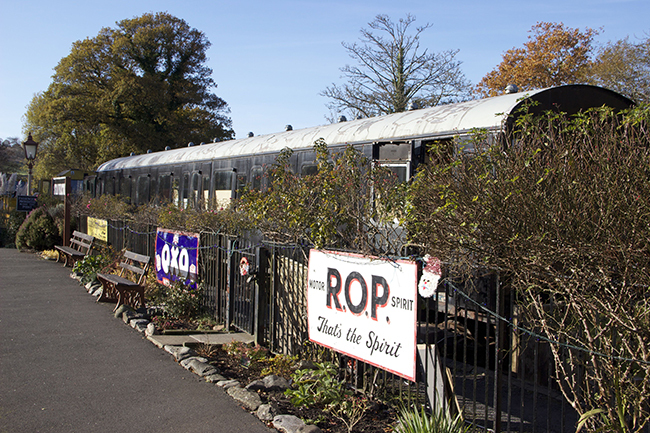 The kitchen area will be at the Totnes end of the vehicle, and will connect with the serving counter. Most of the vehicle will be given over to seating and tables, with maroon leatherette on the walls, for easy cleaning. 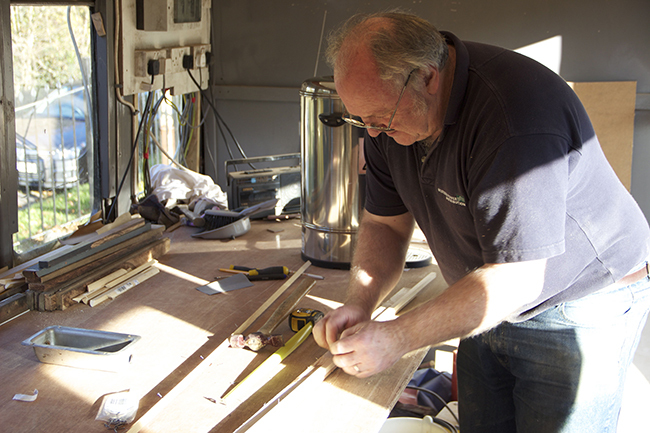 It is hoped to have the vehicle ready for the first beer festival of the season.